During WWI, the food supply chain stretched so far around the world it almost snapped. It saw Australian and New Zealand front-line soldiers eating a lot of tinned products from milk to jam to beef. They also ate a lot of "army biscuits". 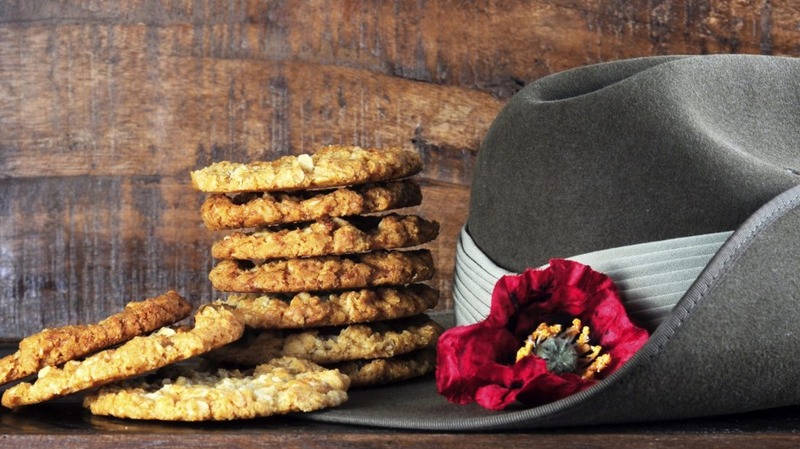 The army biscuit was equivalent to naval hard tack with the texture of a modern dog biscuit but less nourishing. One soldier wrote, "crawling from our earthly dens at the dim dawnings of the day, we receive no portion of the dainties which once were ours in the long ago times, but instead devour with eagerness biscuit porridge". The army biscuits were crushed and turned into gruel or used to thicken a stew made with canned beef. Then there were the biscuits baked by mothers and aunts back home. Made with oats and golden syrup, they made the long journey over the equator without going stale because golden syrup is an invert sugar and doesn't absorb moisture from the air like normal sugar. Moisture from the air makes baked goods taste stale. The golden syrup also stopped the formation of moulds. We know soldiers in France were drinking the local white wines as they bought back a word derived from the French vin blanc that we still use today, "plonk". 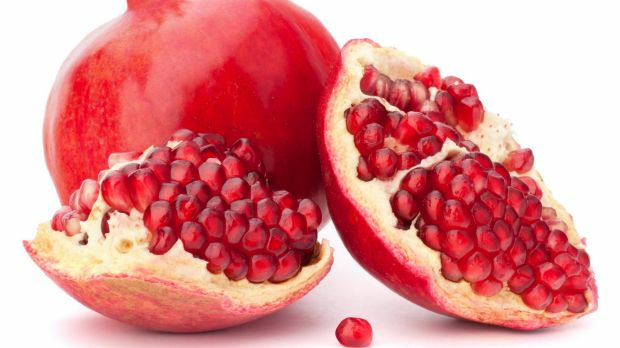 Did you know that pomegranates pre-date their super-food status by thousands of years? In Deuteronomy, Moses told his wandering tribes of a promised land of "wheat, and barley, and vines, and fig trees, and pomegranates; a land of olive oil, and honey." Later the Romans called it the mala punis or apple of Punica in Carthage. Its territory extends to North India. The name comes from the Latin poma granata or seeded apple. In Spain, it is called granada after which we get the word "grenade". The name of the city of Granada comes from a completely different word, the Arabic word Garnata or Karnatah meaning "hill of strangers". In the era of fake news I am not surprised you wonder where "beef cheeks" come from. When there are things like seafood extender on the market – which sounds suspiciously like a marital aid and tastes like stale fish-flavoured thong – you are allowed to be sceptical. When "free range" can mean chooks crammed beak to beak and when bread made in a factory using yeast and vinegar can be called "sourdough", you have the right to be suspicious. But beef cheeks are the real deal. Cheeks can be large muscles in mammals. Just look at Laurie Oakes. Unless you want a mouthful of papillae – cheek buds – make sure you order your cheeks trimmed. Beef cheeks are delicious and unctuous when slow cooked try this.